In what has become a numbing succession of severe storms, tropical storm Nate has emerged in the southwest Caribbean. 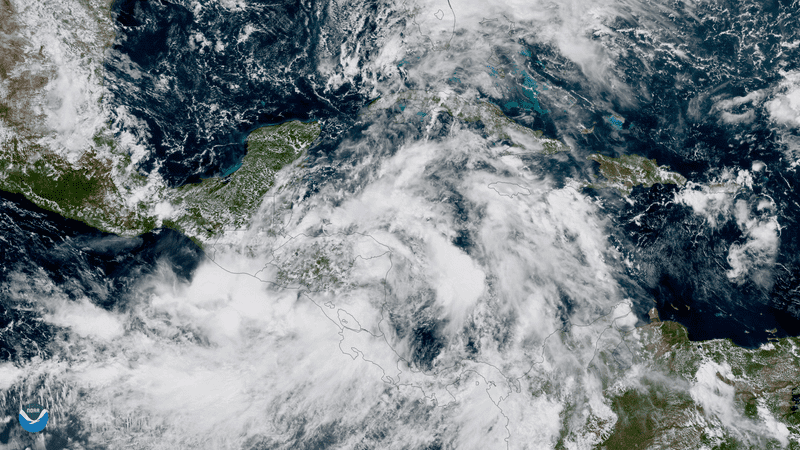 The storm, which has already produced deadly flash flooding and mudslides in Nicaragua, Costa Rica, and Honduras, is expected to intensify into a Category 1 Hurricane and reach the US Gulf Coast early Sunday morning. At least 22 people have been killed and seven are missing as tropical storm Nate ravages the Gulf-side coastlines of Central America. The storm, which burst to life just yesterday, is currently dropping torrential rains and packing gusts of up to 45 miles per hour. Nate is moving slowly in a northwesterly direction, setting its sights on Mexico’s Yucatan Peninsula, at which time it’s expected to graduate to a Category 1 hurricane. From there, it’ll continue northwards towards the US Gulf coast, threatening a stretch of coastline from Morgan City, Louisiana to the Mississippi-Alabama border, according to NOAA’s National Hurricane Center. As Weather Underground reports, New Orleans has about a 50 percent chance of experiencing tropical-storm force winds by Saturday night. Total expected rainfall along the US Gulf coast will be between three to six inches, with some regions receiving upwards of 12 inches. The accompanying storm surges could reach as high as three to ten feet. New Orleans—a city devastated by Hurricane Katrina in 2005—is still dealing with a compromised drainage system; CNN claims that several drainage pumps failed during heavy storms in August, leading to the flooding of several hundred properties. May Mitch Landrieu has issued a state of emergency for New Orleans, but he’s asking people to stay put. Louisiana’s governor has ordered 1,300 National Guard troops to be on the ready, some of whom will help the city to monitor its pumping stations. Offshore oil and gas operators have evacuated personnel from six oil and natural gas production platforms in the Gulf, according to the Bureau of Safety and Environmental Enforcement. As noted, the storm is forecast to make landfall on Mexico’s Yucatan Peninsula by Friday evening. The region—home to the Mayan Riviera strip of vacation resorts—is bracing for upwards of eight inches of rain. This area is also home to the Great Mayan Reef, a marine region that stretches for over 620 miles from Isla Contoy down to Belize (only Australia’s Great Barrier Reef is larger). Sadly, there’s a chance this natural treasure could be damaged by Nate. It’s important to point out that these are all early projections. As Harvey, Irma, and Maria showed, these storms have a mind of their own, and they could care less what the computer models say. If you live in these areas, be sure to keep on top of local reports as they come in. Update: NOAA’s maps were updated at 11:20 pm ET to reflect new projections.